This novelogue recounts the meeting of a local couple with a foreigner in a series of fictitious dialogues and exchange of views about the prehistoric sites. Many of the ideas discussed question current theories about the Temples. Some of these will be the subject of disbelief, arguments and disagreement by many, but they will resonate with many others. This may be the first book that looks at these sites from a holistic perspective. Check Apple's iBookstore, Nobo and all the online bookshops. ​The novel is now translated in Italian and in Dutch (eBook & PDF). "Translating a novel is an art because the novelist is an artist. Translating your 'Islands of Dream' appears to be a highly sensitive art-form." (Jacques Visker - Dutch translator) For the Dutch version check Kobo. We re-encounter the characters of the first novel, Islands of Dream: Ranfis, Manwel, Rosaria, and young Franco. 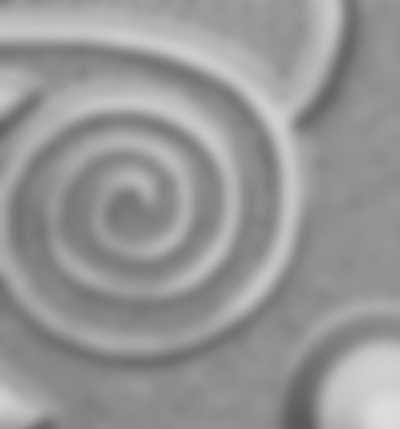 They discuss the epic of creation, the Council of Gods, Lemurian and Atlantean civilisations, the special mission of Atlantis, the internal conflicts that led to the demise of Atlantis, Thoth—the Master of the Egyptians—the building of the pyramids, and the important role of Malta and its temples. 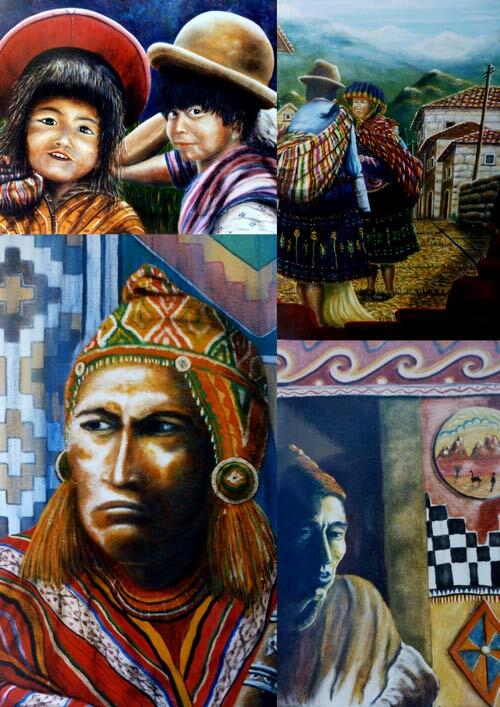 This second novel brings to light the forgotten history of mankind. 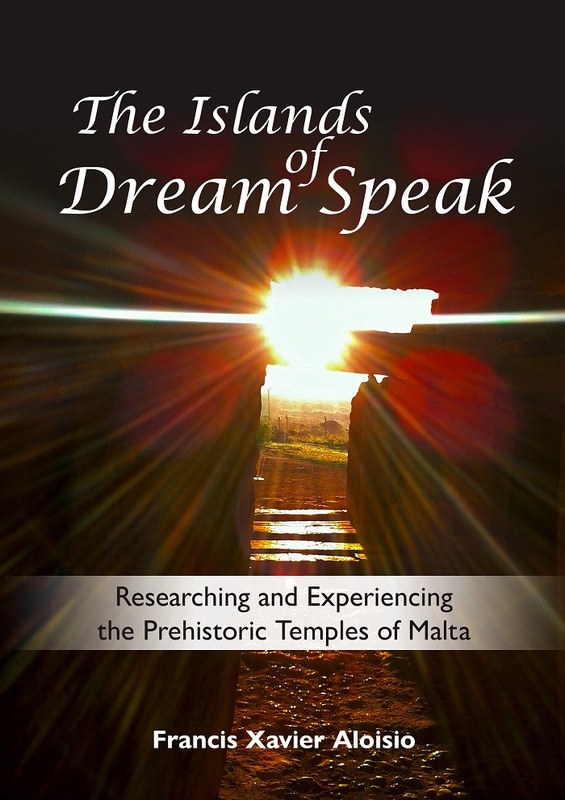 It reveals new insights about the Maltese sacred sites and their important role at the threshold of the New Golden Era. (It is available from all online bookshops). Malta is unique with all its above ground, subterranean and underwater temples. Malta, in a way, is a ‘living museum.’ The origin of the mysterious temples of Malta stretches further back into prehistory that can be conceived by archaeologists. For the first time we have a ‘handbook’ that gives us a metaphysical and alternative view of these singular prehistoric stone structures. Humanity has now reached the stage where it is open, eager and hungry enough for the ‘truth.’ We are now ready to shed the belief systems of contemporary thought and self-declared expert historians and see the temples in a different light. These structures are a glorious legacy left by our Ancient Ones for us to discover their real meaning and true power. It is time to remember how to understand them better. The handbook was written in the spirit of fostering a thought-provoking dialogue and discussion. 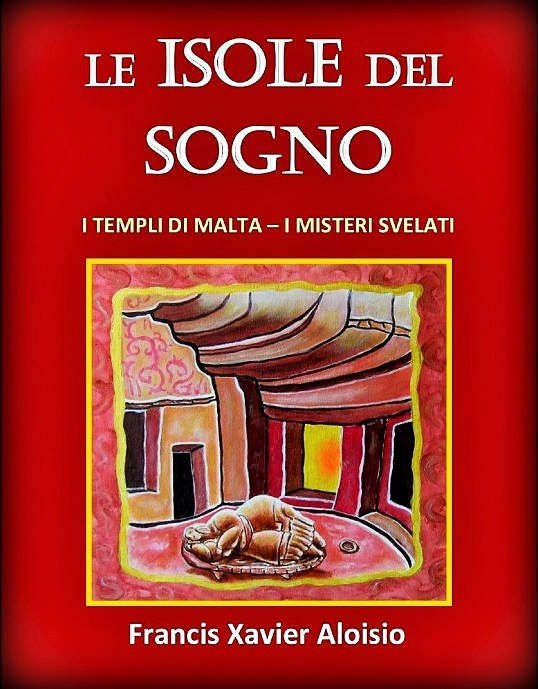 I am confident that this ‘alternative perspective’ will generate a different perception about the Maltese sacred sites, and that it will both intrigue you and entice you to visit them with a more open viewpoint. 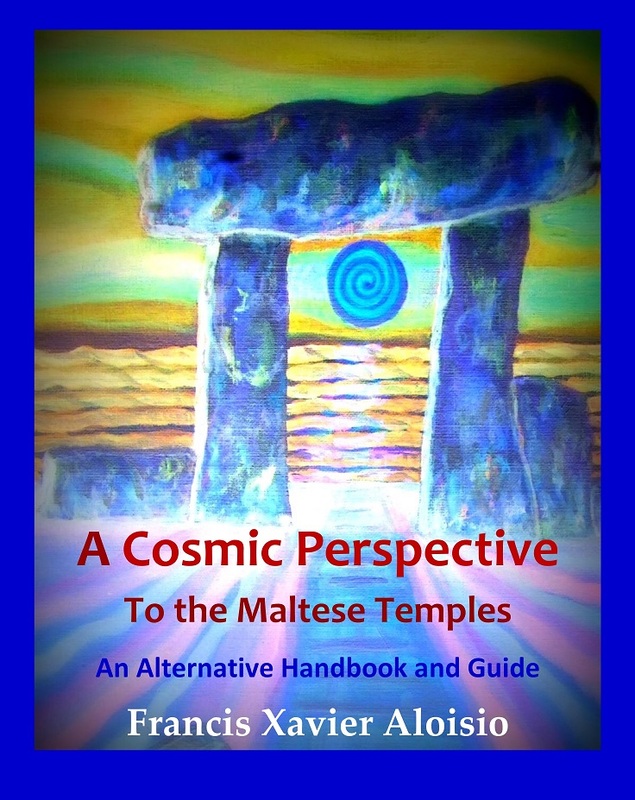 Author's Note: I felt it is time to reverse the title of the Handbook from ‘An Alternative Handbook’ to ‘A Cosmic Perspective’ to the Maltese Temples. Bringing the word 'Cosmic' into the equation shows the true vibration of the temples to who built them and for what purpose. 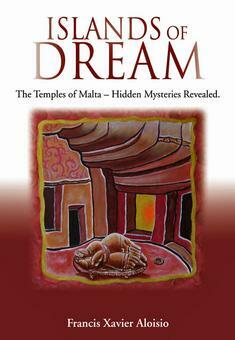 (Hardcopy of 1st edition available by request from BDL: [email protected] and from main bookshops on Malta. The 3rd edition new title and new cover is available in eBook format from Smashwords and from the author directly. Soon it will available as an Audio-book! See it as a ‘Virtual GPS’ to guide you on your journey and to be your companion as you discover these powerful energies thus making the experience your own. It will be a trigger to unlock the hidden codes within you. Can be obtained in person via email. 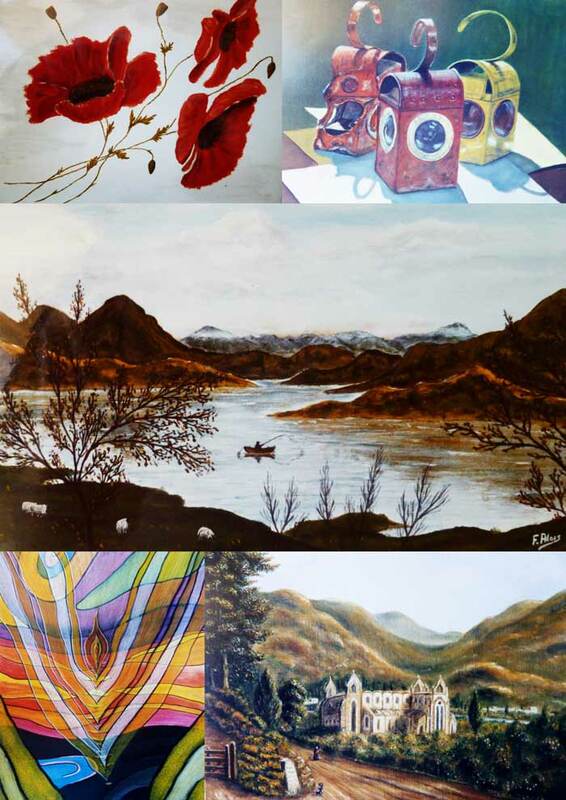 Francis started painting late in his life as a past-time and a way of self-expression when he was living in Brighton, England. 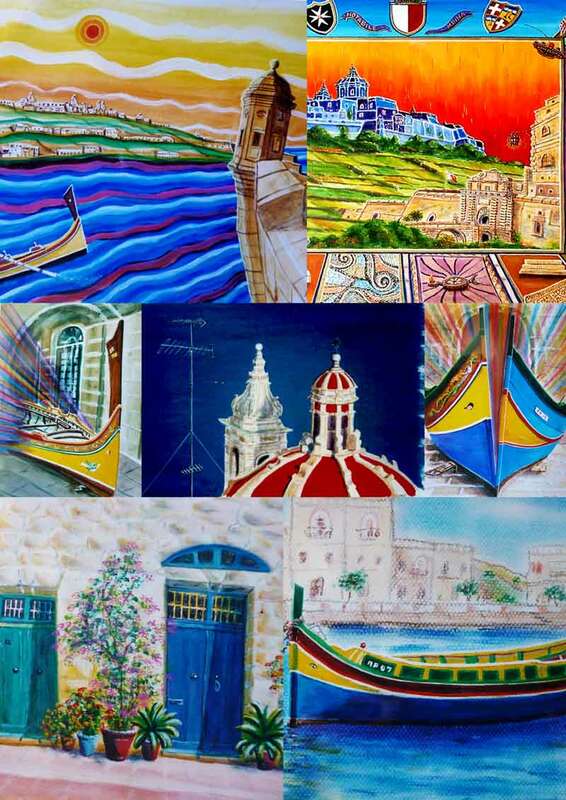 He draws his inspiration from his Maltese background and his experience in South America. 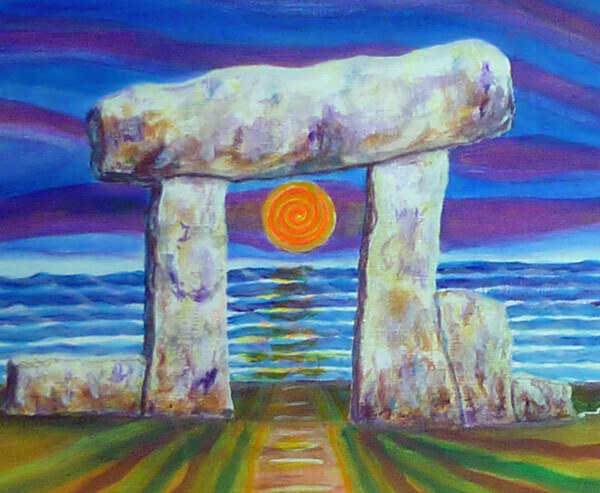 He is a visionary artist, author, teacher and subtle energy temple guide. He likes the classic painters, especially Raffaello and Botticelli, although Byzantine art fascinated him. 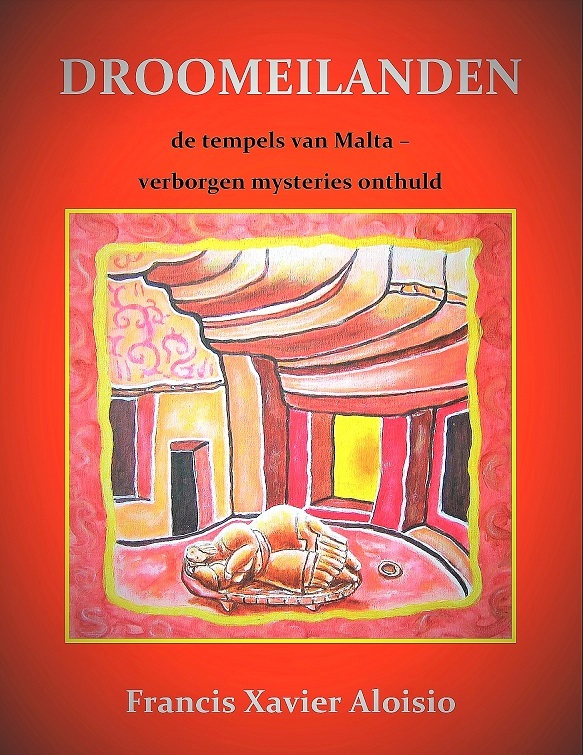 The Maltese Temples in Painting & Poetry: The book is a collection of paintings and poetry that captures the flavour and the energies of the Maltese prehistoric temples in a feast of verse and colour. 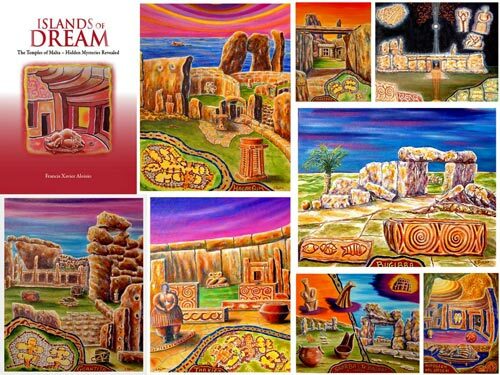 It is a collaborative project of the collection of 14 paintings by Francis Xavier Aloisio depicting Malta’s Prehistoric Heritage of the Temples with a corresponding poem by Erika Brincat expressing the mystery, magic and spiritual essence of each Temple in verse. 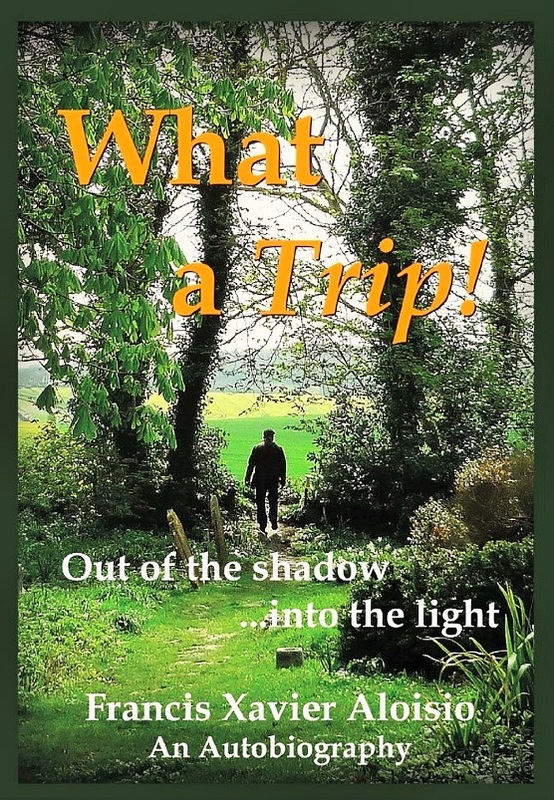 (Available in eBook format from Smashwords & all online bookshops. If you feel the call to visit the sites found in Cambria or Malta, you will experience first-hand the awesome monuments and sacred-points of these ancient civilisations. 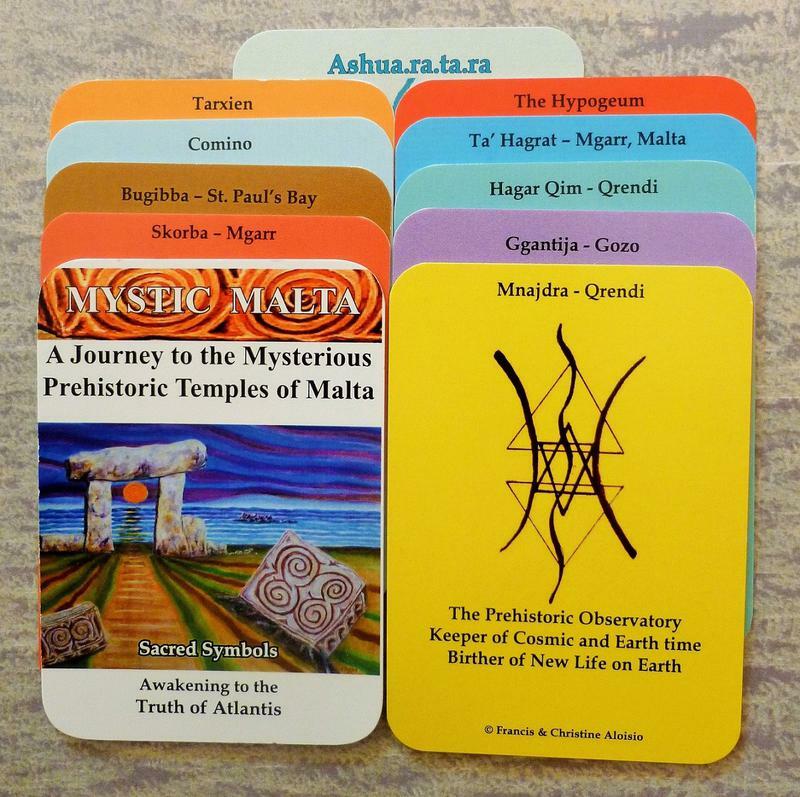 Those who cannot physically visit these sites, have now the opportunity to connect with and tune in to these sacred and powerful energy sites through the magic of these sacred symbols. of the Crystal Cities of Ashuaratara (Malta) and Telos (California). In Malta, the Novels can be purchased from any bookshop and from BDL Ltd. Malta (Distributor) - [email protected] or from the author directly. 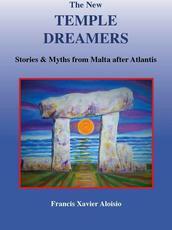 Overseas, the second edition of Islands of Dream, The Age of Magic and Wisdom and The New Temple Dreamers are available from Booklocker, Smashwords, Kobo & Amazon and other on-line bookshops as hard-copies, in PDF and in eBook format. Please remember to leave a review for my book at your favourite retailer. Visit my Smashwords author page at www.smashwords.com/dashboard - All books are also available from main bookshops on Malta. Warning: Reading these 3 Novels and the Alternative Handbook can seriously damage your belief system...or it can stir old forgotten memories! It’s time that we remember who ‘we truly are’ - Spiritual Beings of Light in garments of human flesh. We all chose to incarnate at this point in humanity’s evolution so that we could assist in the process of awakening. We are witnessing a period of tremendous growth and the birth of the greatest period of abundance, beauty, love, truth, justice and peace ever known on Earth. Available from leading bookshops on Malta and from BDL - Malta, from the author as PDF, and from Smashwords and Amazon in ebook format. ​What a Trip! 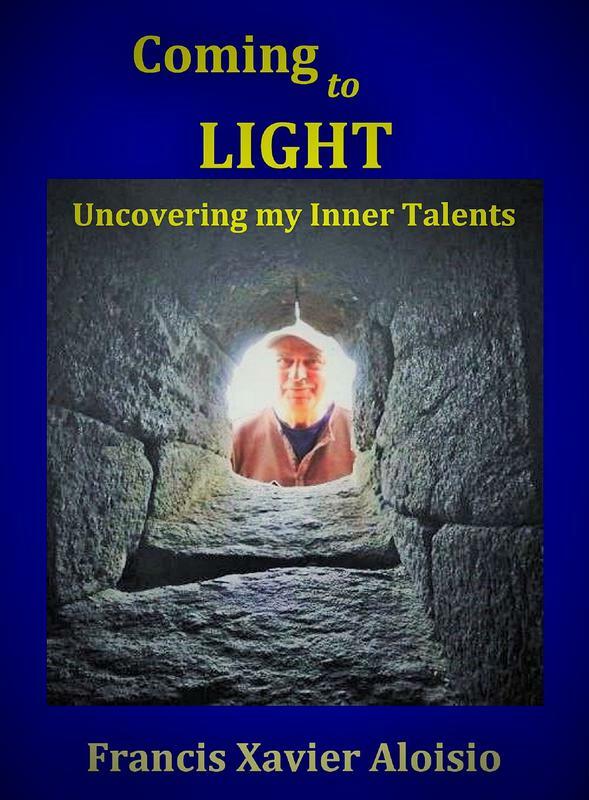 is a self-reflective autobiography whereby I dare to write on such a personal subject and in such an open manner about sexuality and spirituality. I share my journey on the long road towards inner happiness and emotional maturity. My story/trip is also your own story and personal journey towards fulfilment and realisation of self. It is dedicated to all my Mothers: My Natural Mother-Maria Rosaria, My Motherland-Malta-Sacred & Mystic and Mother Church–Holy & Roman. The Islands of Dream Speak must be the first book to have all the different schools of thought and disciplines coming together under one roof. 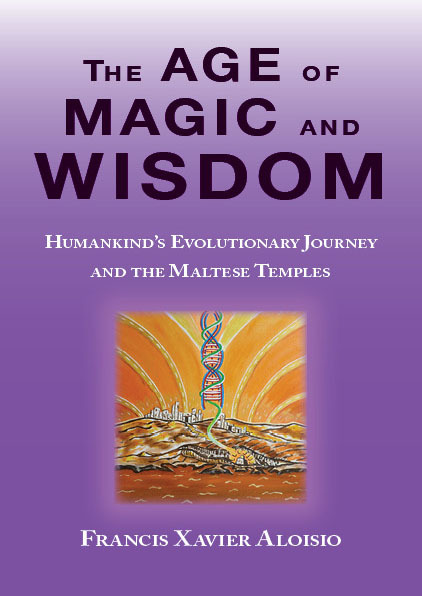 Reading all the diverse views and theories, and the varied testimonials and insights of those who came to experience the sites, give us a different perspective to the mysterious temples of Malta and will open our understanding to the mystery and the real purpose of the temples that we can tap into their silent wisdom. I feel that experiencing the temples from all these various aspects will open our understanding to the mystery of the temples so we can tap into the real wisdom of the temples. This ‘compilation’ of words and experiences found in this book is a fascinating ‘jigsaw puzzle’ about the prehistoric temples. It is the witness of something that is beyond ordinary science, as it is the science of the soul. The book is an interesting, mysterious, intriguing and insightful written journey into the mysterious of these temples on these islands – the temples of the Stars and the Sun. In this ‘second’ autobiography Coming to Light! the author takes us through his journey to creativity. He shares with the readers how he uncovered his inner talents of music, painting and writing later on in his life and how he managed to bring them to light and subsequently expressed in creative projects. It was a trip full of wondrous possibilities and incredible probabilities, filled with exciting surprises and gifted with miracles and synchronicities. PLAY; HAVE FUN AND GET THE WORK DONE!